There were some winter storm events during this bill period, and it will likely skew any estimate we generate based on this bill. If possible, please use a bill from a previous month. Our interactive savings calculator estimates what you could pay for your electricity over the next year, based on your current usage, compares it to what you are paying right now, and gives you an estimate of what you could save. You will need a recent electricity bill to get the best results. If you don't have one handy, don't worry, just put in what you think you are paying and we can still estimate. More than one Transmission Provider services this Zip Code. Please make a selection below. Unfortunately, we don't currently service that area. Unfortunately, the area you live in is not open to retail competition, and as a result we cannot help you switch away from your current electricity provider. 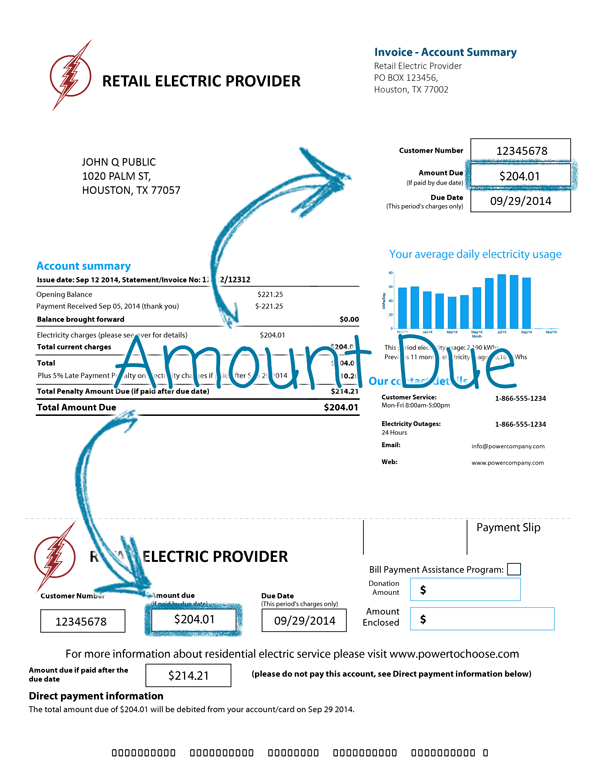 There is no one fixed standard for balanced billing, and every electricity provider calculates them differently. Our Savings Calculator does not take these differences into account, so we recommend that you call us at (832) 975-1000 to discuss your needs further. Based on the information you provided, your Effective Rate is . 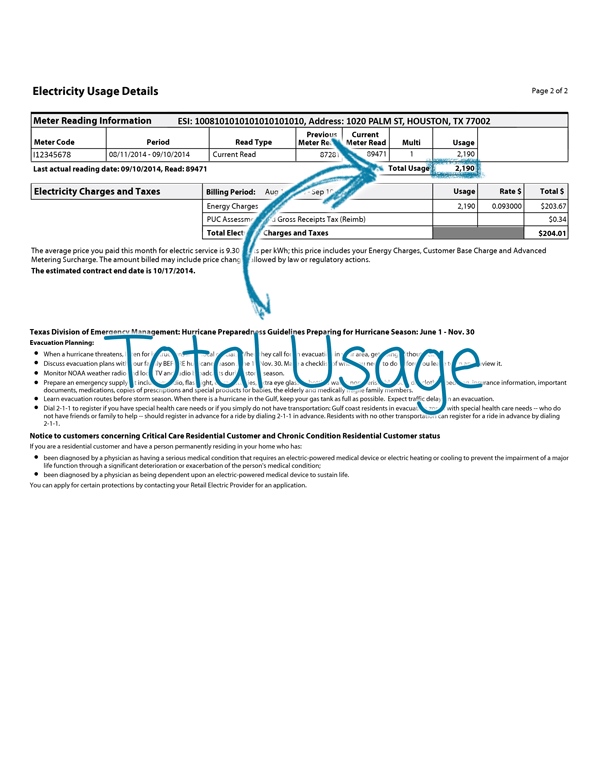 We calculated this by taking into account all charges, fees and taxes you paid on your bill and is a true measure of what you are paying for your electricity, regardless of what rate you signed up for. Press the Calculate Savings button to get started. Below is an estimation of the next 12 months of your electricity usage. The red line shows your cost if you were to stay with your current plan for the next 12 months. The green lines show other alternatives we can offer to you. I always enjoy saving money and this is a no-brainer. Customer service is excellent. A Retail Energy Provider (REP) is a company you can buy electricity from for your home. They are responsible for billing you and for communicating your requests with the Transmission and Delivery Service Provider (TDSP) for your home. A Transmission and Distribution Service Provider (TDSP) owns or operates owns, maintains, and reads the lines, poles, and meters that deliver and monitor the power to your home. 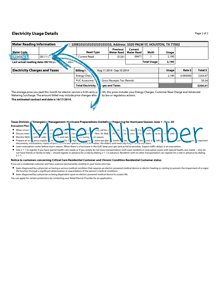 The ESI ID is a 17 or 22-digit number used to identify a point of electric service delivery to a property. Our system will attempt to automatically fill it out for you, and you can also find it on your bill. A 3-digit number that can be found on the back of your VISA, MasterCard or Discover branded credit or debit card. 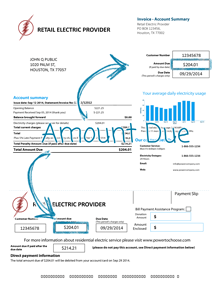 Retail Energy Providers need your Social Security Number to verify your identity. They may use this to run a credit check to determine credit worthiness. Energy Ogre encrypts this, and only shares it with an REP while enrolling you with them. 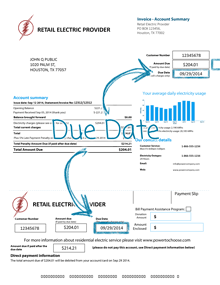 Retail Energy Providers need your Date of Birth to verify your identity. They may use this to run a credit check to determine credit worthiness. Energy Ogre encrypts this, and only shares it with an REP while enrolling you with them. 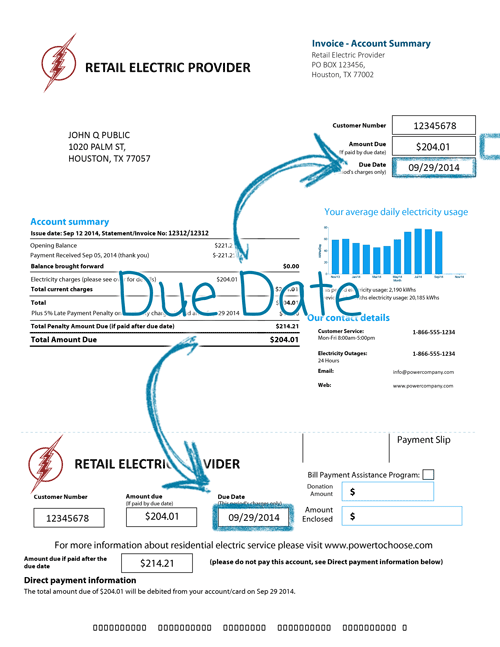 This is the date the amount is due on your electric bill. We use this to determine which day of the month your bills are generated, which helps us estimate how much power you would use over the next 12 months. 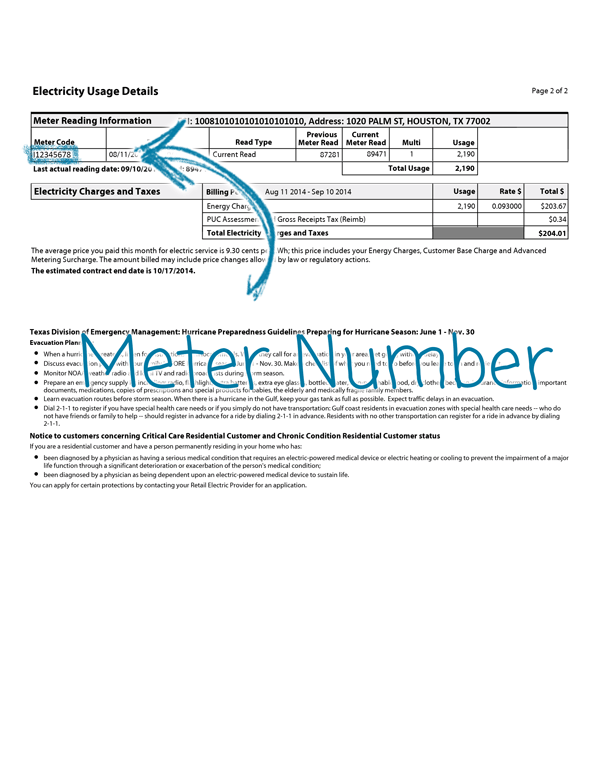 The Meter Number is used to identify the electric meter on a property. 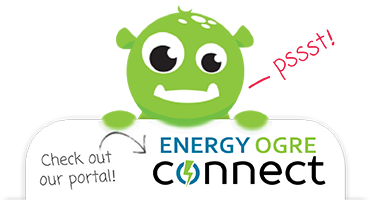 We use this to look up how much electricity you use so we can determine the optimal energy plan for you. It usually starts with the letter 'I' followed by 8 numbers, and is often on the second page of your electricity bill. 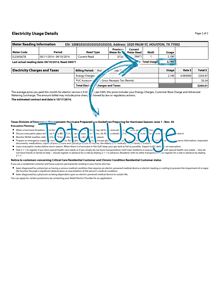 Balanced Billing, or Average Billing as some providers call it, is a rate plan where customers pay the same fixed amount for electricity each month of their contract. There is some times a an additional payment at the end of the contract, which our savings estimator does not take into account.